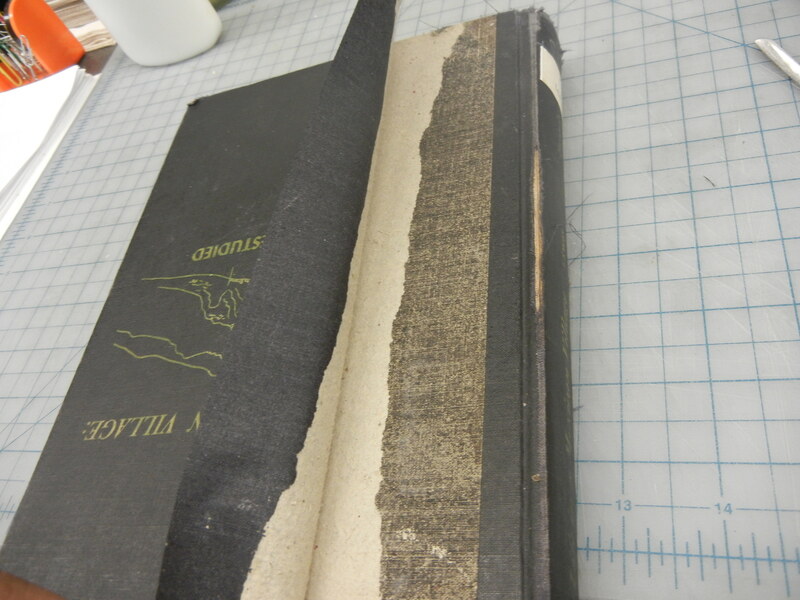 Time for part 2 of my adventures in book repair. If you haven’t read part one go do so now then come back. If you have then this image should look familiar to you. Yes? Great. Last time we left off we had just attacked a slip of bristol paper with PVA glue. 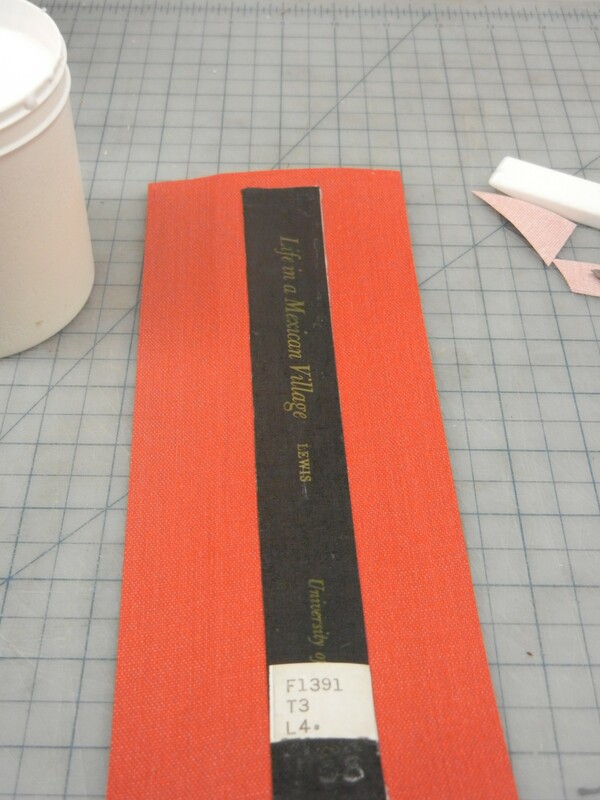 Now place the bristol slip on the back of the book cloth to make a backing for the new spine. 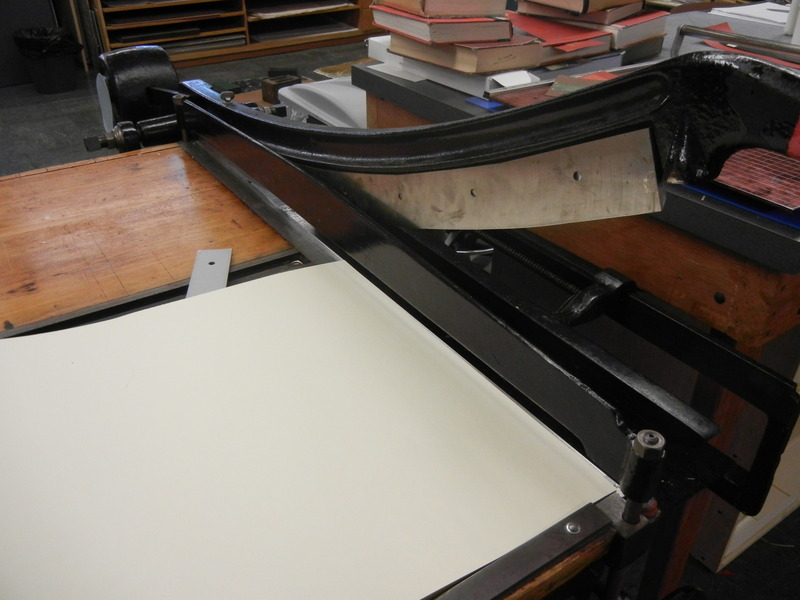 Then miter the corners of the book cloth to take away some of the material. Cut a central cut all the way to the edge of the paper. 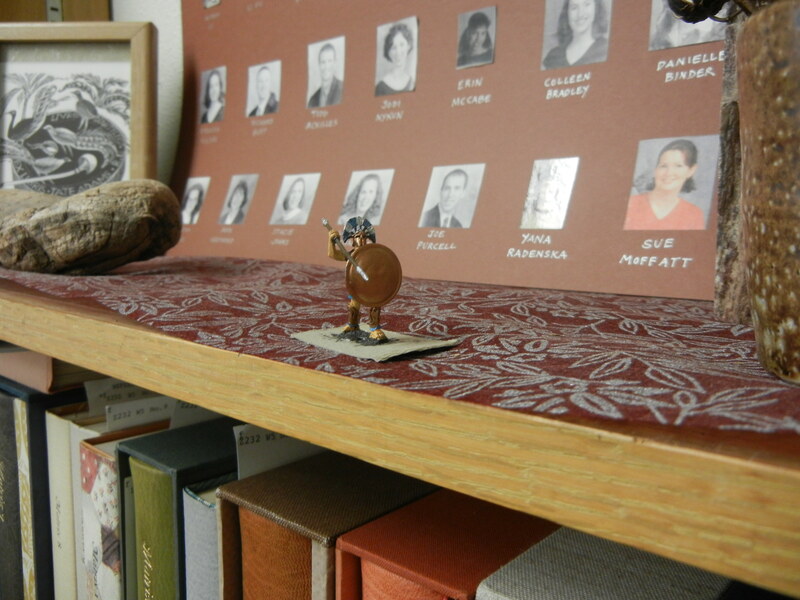 Now glue out the book’s spine and attach it to the front of the book cloth. 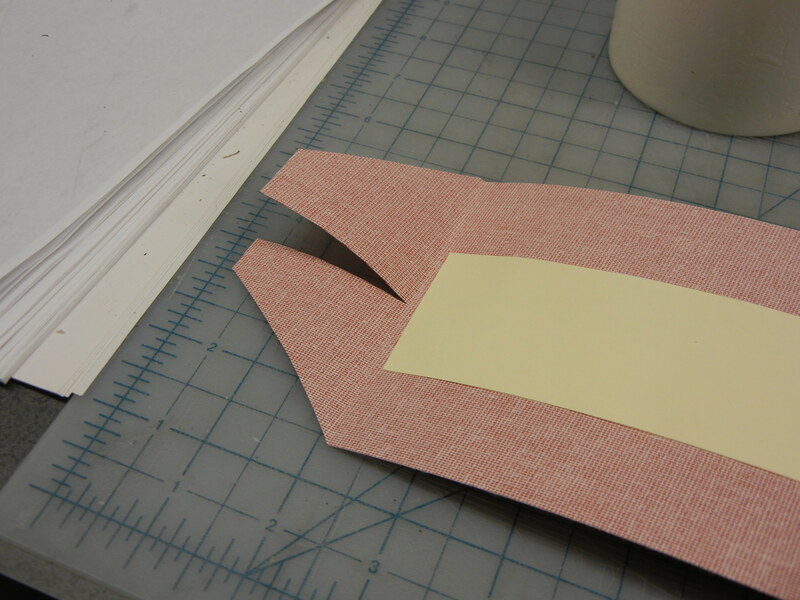 An easy way to make sure you are centered bend the cloth over the edges of the bristol on the back. Then guess what you’re done! 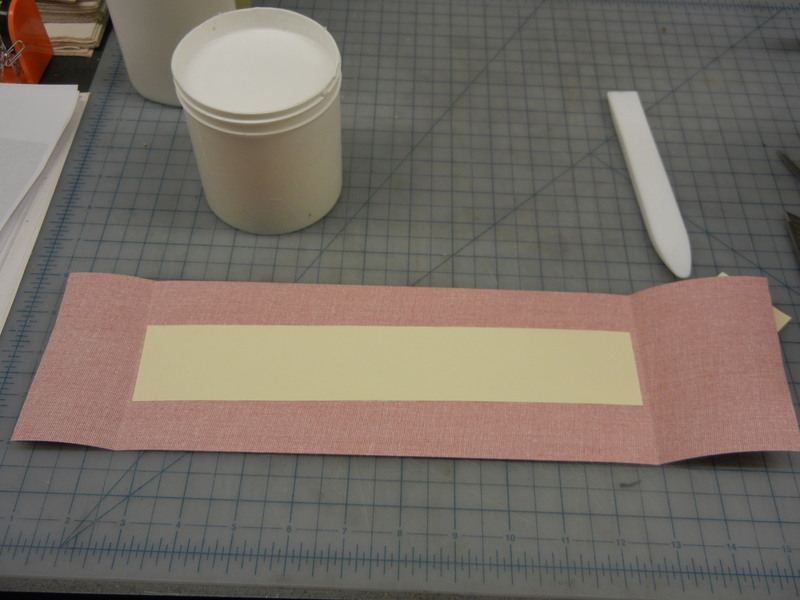 Now place the finished product in between to sheets of wax paper, and place it under something heavy to flatten and squeeze out any excess glue. Let over dry for 24-48 hours. 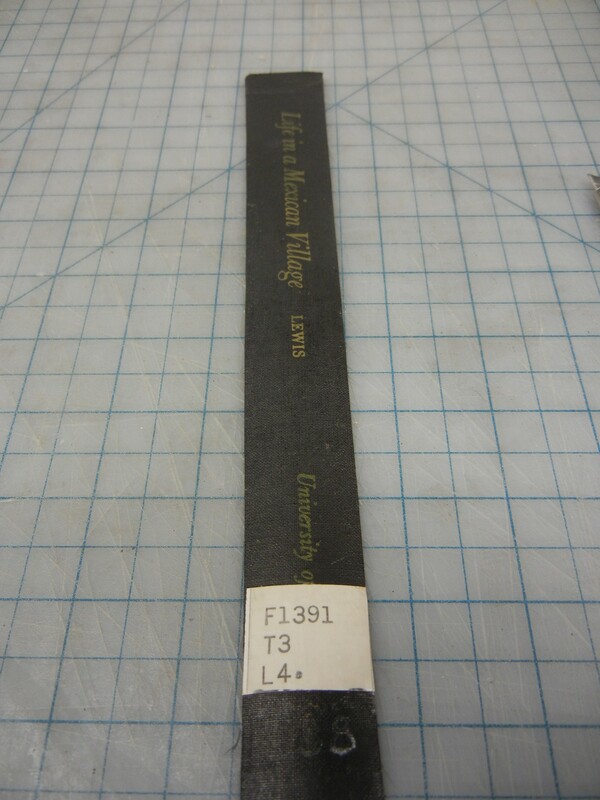 That’s the end of part one of fixing a cloth bound book’s spine. Tomorrow? Attaching it back to the book. 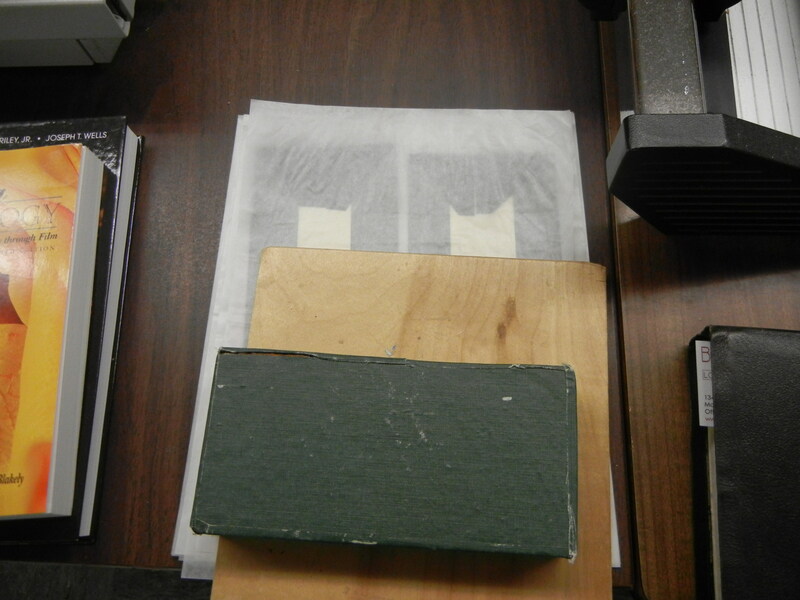 As promised here’s the photos and process break down from my time in Preservation. 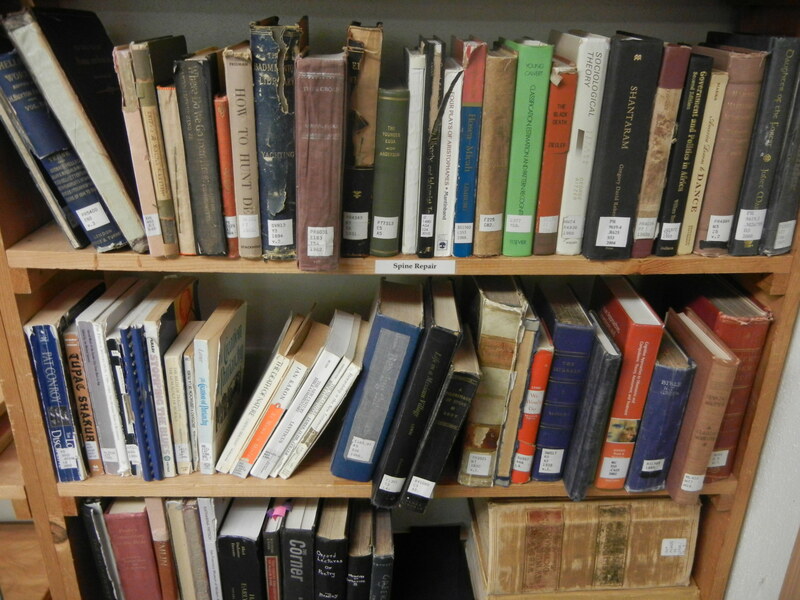 This is just a section of all the books waiting to have their spines fixed. 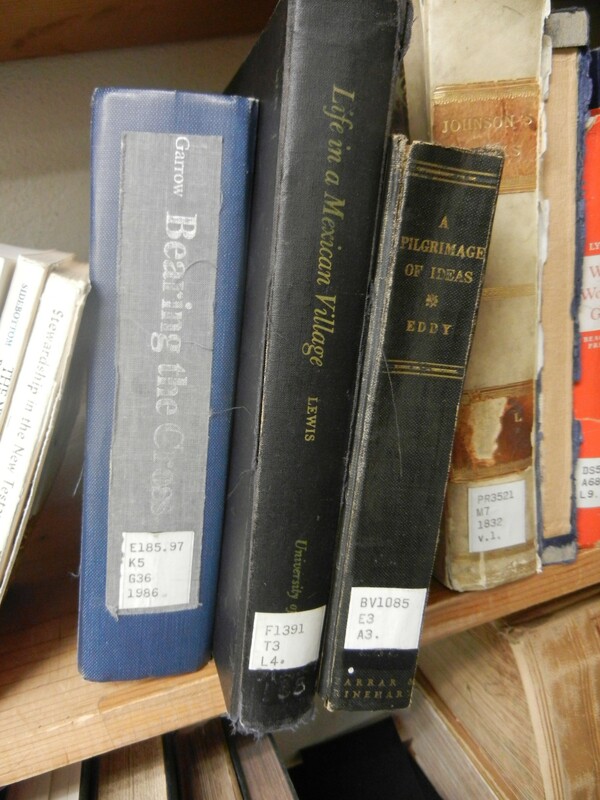 On most modern books the spine is the first thing to give out after years of usage. The newer textbook like books with paper covers and glued in papers can’t stand up to excessive usage. I choose the small black book because it seemed like the easiest to fix and the cover was still attached to the text block. See the spine is coming apart from both sides of the book, this one wasn’t the worst but it could quickly become worse. 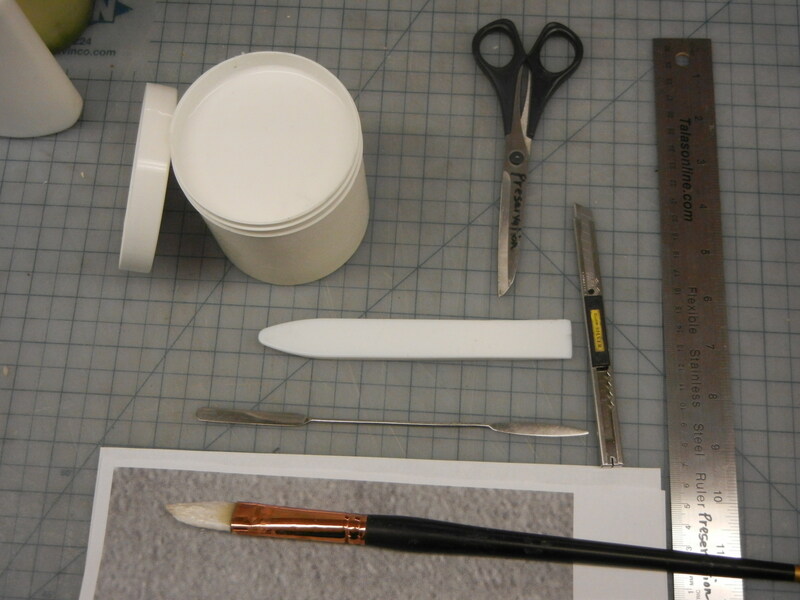 Tools of the trade: PVA glue, scissors, Ruler, exacto knife, bone folder (this one is plastic, there are some made out of real bone), mini spatula, artist brush,cutting mat, and scrap paper. 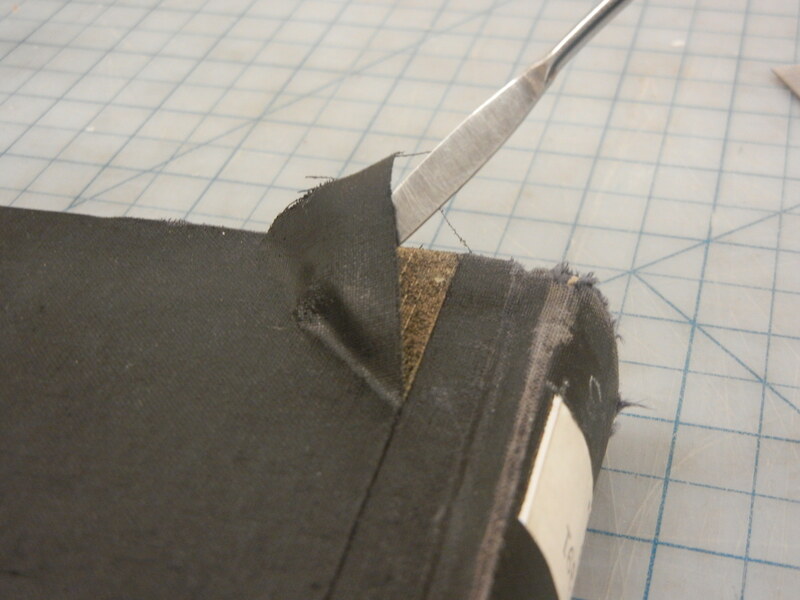 Now it’s time for the fun part, after using the ruler and exacto knife to cut the cover about an inch away from the spine, take the spatula to lift up the cover. 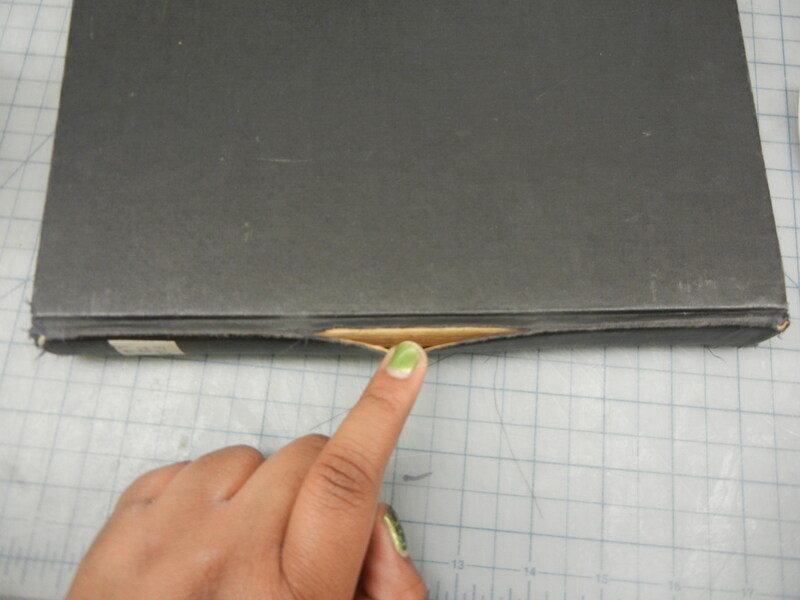 Lifting back the cover, do this on both sides of the book. Now switch and start taking off the spine, be careful you just want the cloth spin. 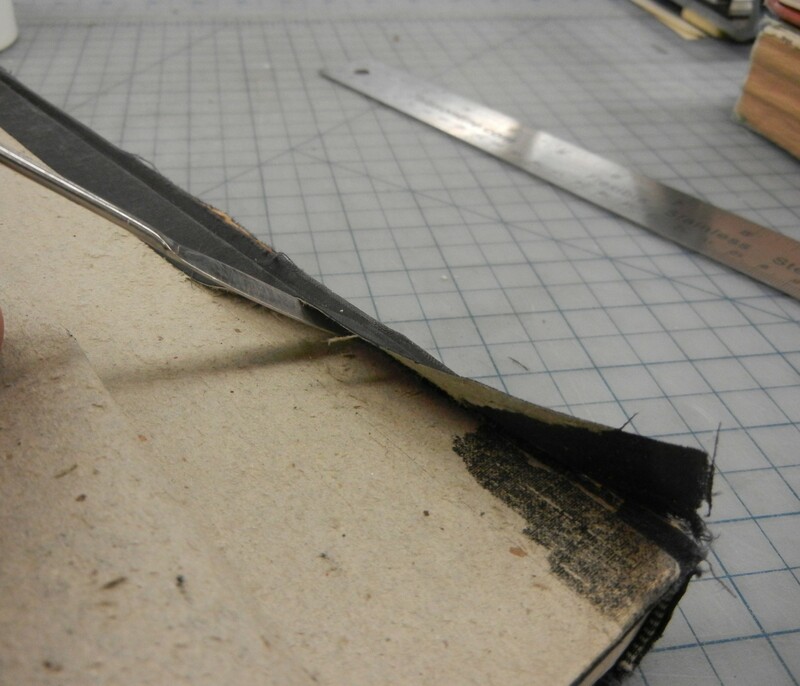 Don’t cut the cover board away from the book. 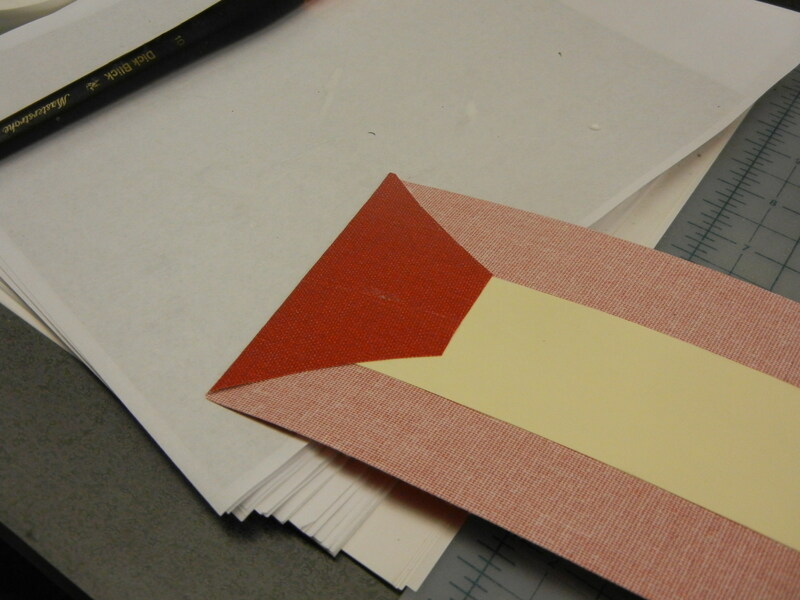 After taking the spine off, clean up the spine by cutting away the edges. 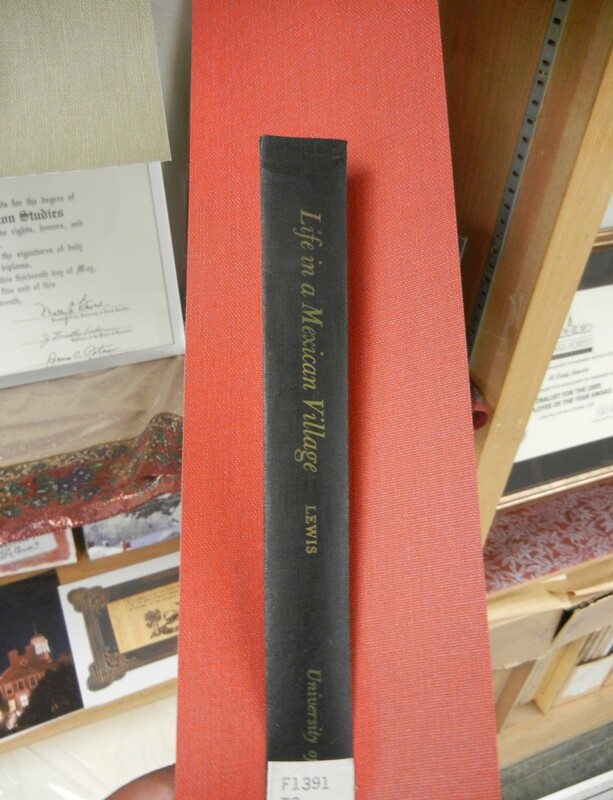 Now cut some book cloth, leaving about an inch and half of cloth on both ends of the spine. If the color matters to you than choose one that either matches or complements the original color. 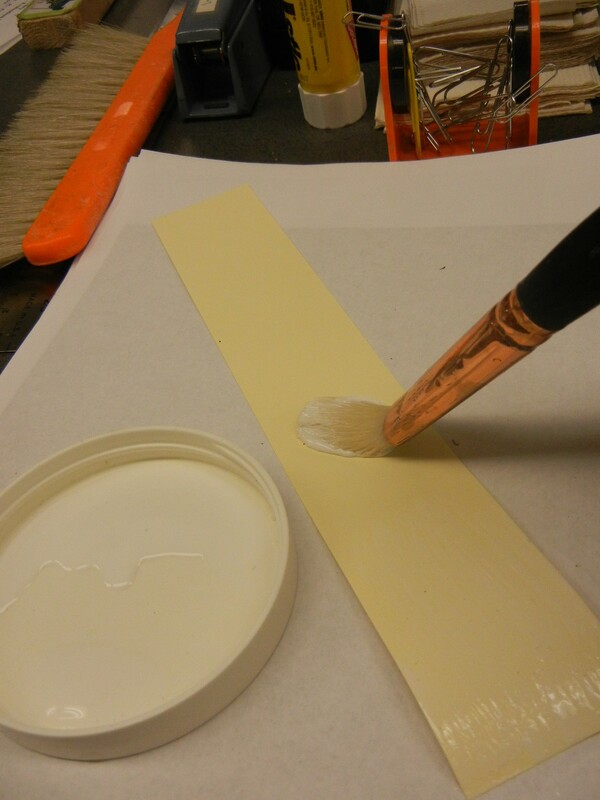 Cover the bristol paper with glue, make sure you cover the entire strip in a thin even layer. So I don’t overload the post with images I’m going to break up it up. Come back tomorrow for part 2.